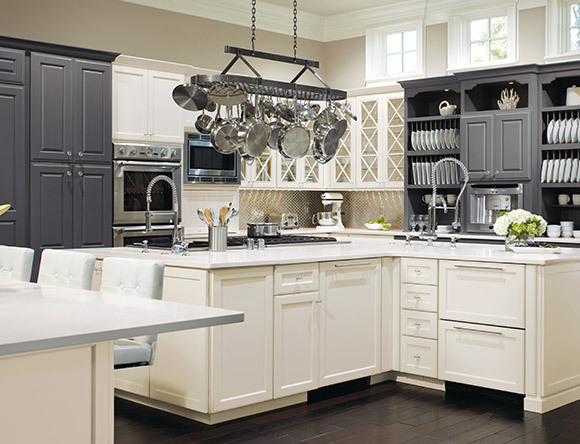 Kitchen cabinets are a major investment in the function, style, and durability of your family’s kitchen. As one of the most important components in your kitchen’s floor plan, a well-designed cabinet layout with built-in features that help utilize every corner of space could be the difference between building a functional kitchen that flows effortlessly with your family’s needs and a space that is cluttered and inefficiently used. 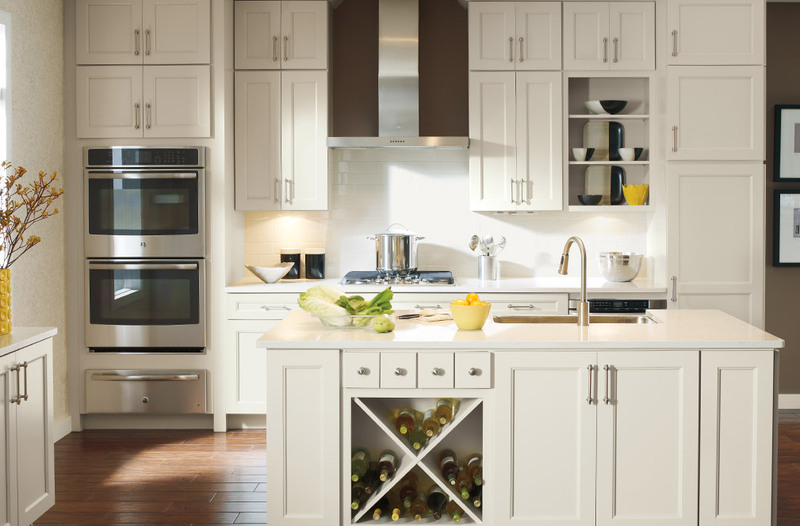 When choosing your kitchen’s cabinets, the first important consideration is whether to use stock cabinetry, semi-custom cabinets, or fully custom kitchen cabinets. While stock cabinets are the least expensive cabinet option, they come pre-made and in standard sizes that are not perfectly fitted to your kitchen and could create unused, wasted space. With semi-custom cabinetry, the manufacturer produces the cabinets in predetermined increments that match the kitchen’s size requirements as closely as possible, and a spacer is used to conceal any remaining unused spaces. For cabinets built to your kitchen’s exact specifications, custom cabinetry provides a perfect fit and thousands of design options with high-quality craftsmanship to best suit your unique style. Whether you select stock, semi-custom, or custom cabinetry for your home, there are hundreds of finishes, materials, and styles you can choose from to best match your aesthetic. For a modern kitchen, the clean lines of frameless cabinets provide a contemporary look, while the classic exterior of framed cabinets are popular in rustic and traditional kitchens. Kitchen cabinet materials range from ultra-modern glass and lacquered fronts to traditional Shaker and cathedral styles, with every variation in between. From bold colors to natural woods to painted white, there is an endless variety of kitchen cabinets to satisfy every style. Once you have decided which type of cabinet is best for your kitchen, there are many added features that can help you take advantage of every corner of your kitchen. 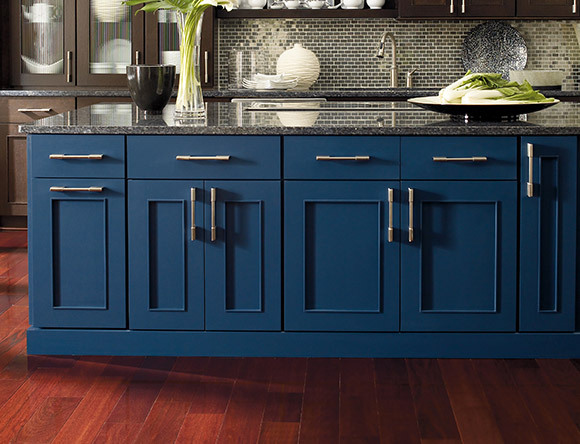 Cabinet brands have designed many innovative features, including soft-close drawers, pull-out drawers, and built-in pantry cabinets to name a few. These features make it easy for you to access everything from the pots and pans you use on a regular basis to the china set you save for special occasions. 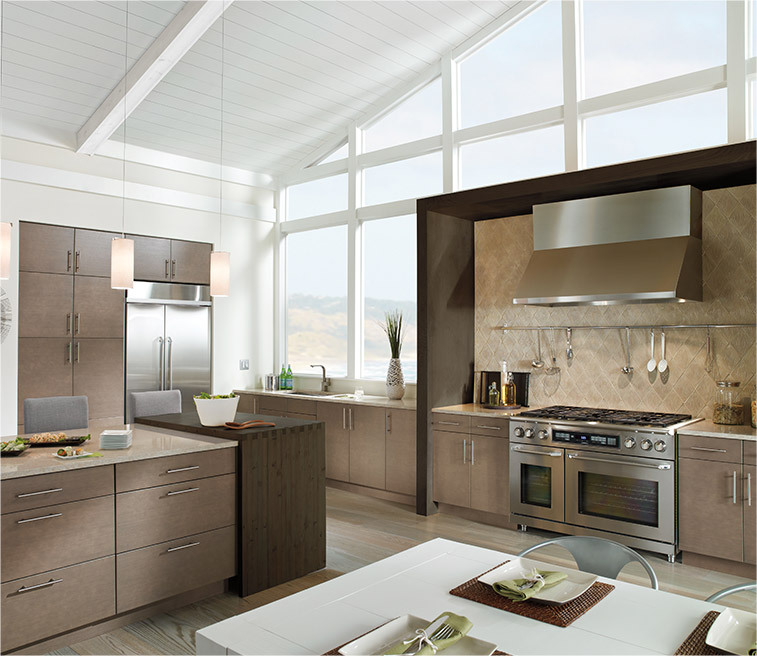 If you are creating your family’s forever kitchen, custom kitchen cabinetry will give you the unlimited personalization, high-quality craftsmanship, and unmatched durability you need to build the kitchen of your dreams. With custom cabinetry, you can create your perfect kitchen cabinets – the completely customized selection ensures you can implement any modification to best suit your family’s needs. Also, the superior craftsmanship used to create custom cabinets guarantees that even the busiest and most used kitchen will last for years to come. Finally, one of the biggest advantages of custom cabinetry is that you can order any size of cabinet with any added feature to prevent wasting any kitchen space and give you all the storage you need. While choosing your kitchen cabinets is an important step in deciding your kitchen’s style, the cabinet hardware also plays a huge part in determining the aesthetic and functionality of your family’s kitchen. Cabinet pulls and knobs are attached to your kitchen cabinets for easy opening and closing. 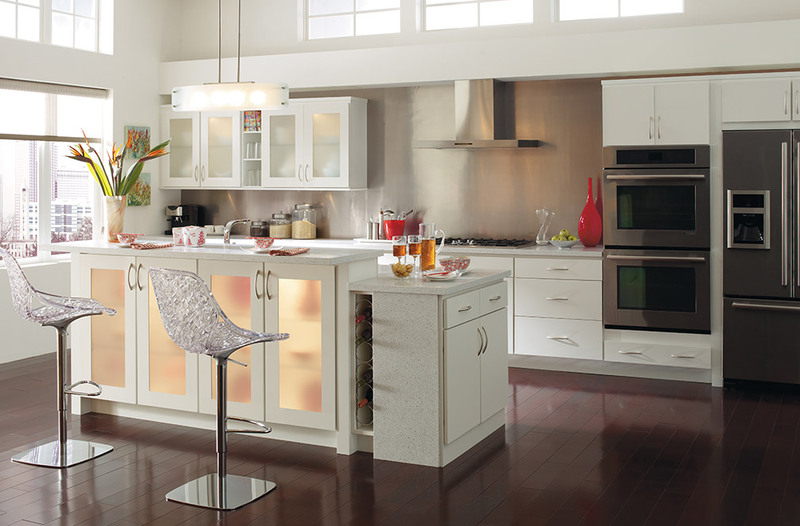 For a decorative touch, you can add a backplate behind them to accentuate your kitchen’s style. 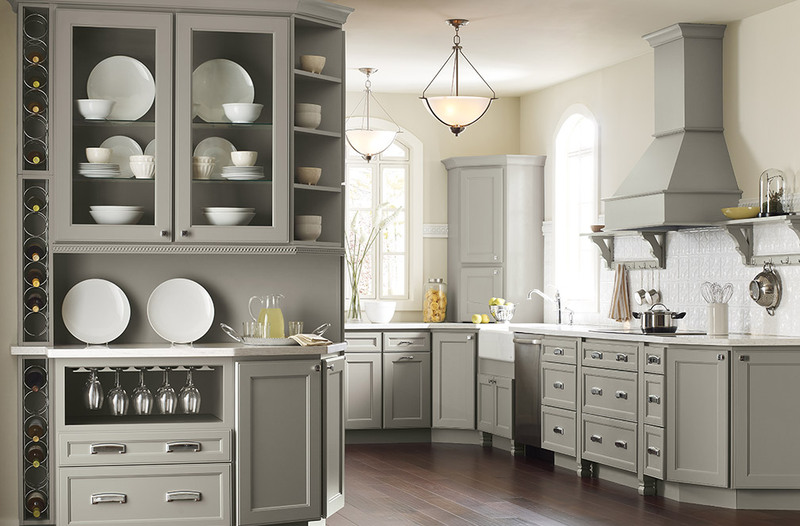 With thousands of color, style, and brand options, Henry Kitchen & Bath has cabinet hardware to satisfy every style. Selecting the right kitchen cabinets for your family’s home is a one of the most critical decisions in creating a kitchen that works for you and your family for years to come. Henry Kitchen & Bath is one of the most reputable kitchen design showrooms in St. Louis - Our family owned company has been in business here for over 90 years! Our experienced designers are well versed in the latest cabinet trends and will work with you and your contractor to create your dream kitchen from concept to completion. Get your project started with us by scheduling an appointment today - At Henry Kitchen & Bath, we can make your vision a reality!